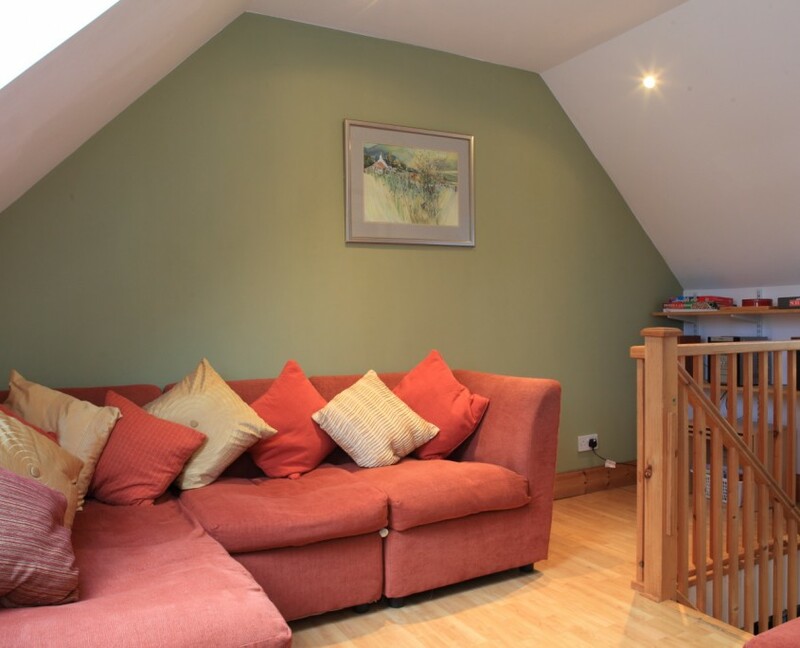 Woodside has TWO bedrooms sleeping a maximum of 5 persons, including children. 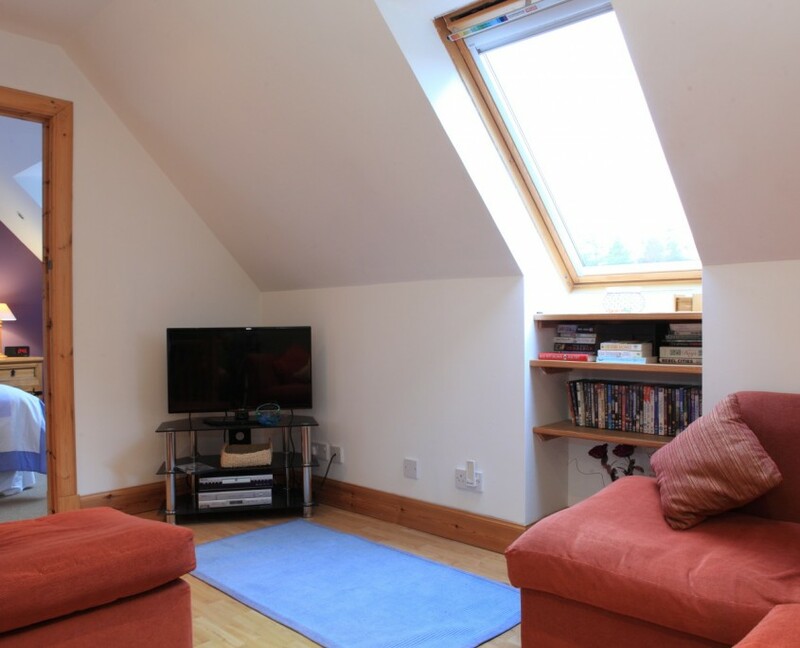 This upstairs Studio Bedroom with shower has its own sitting room can be configured as a twin bedded bedroom for two persons, or as a large king-size bed for two persons. 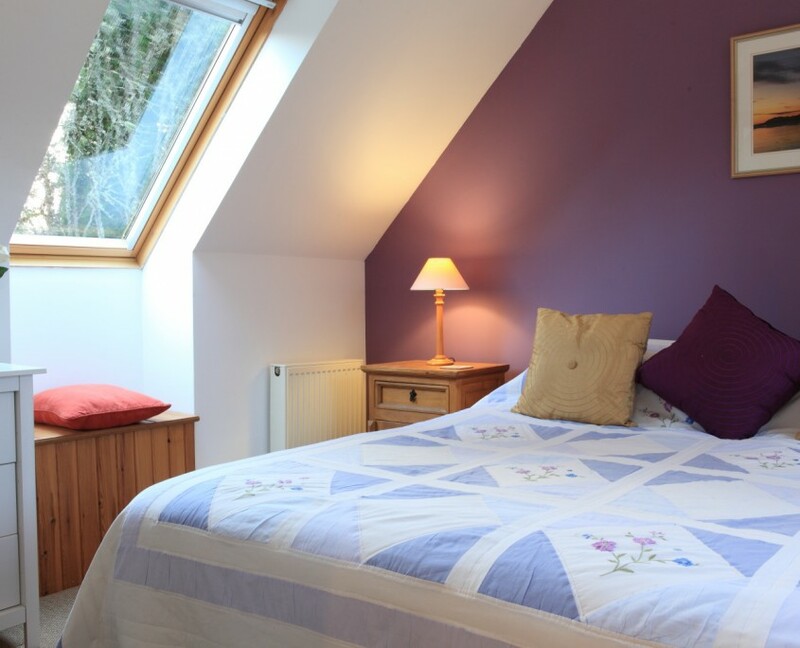 The room is bright and airy with great views looking over to the mountains. 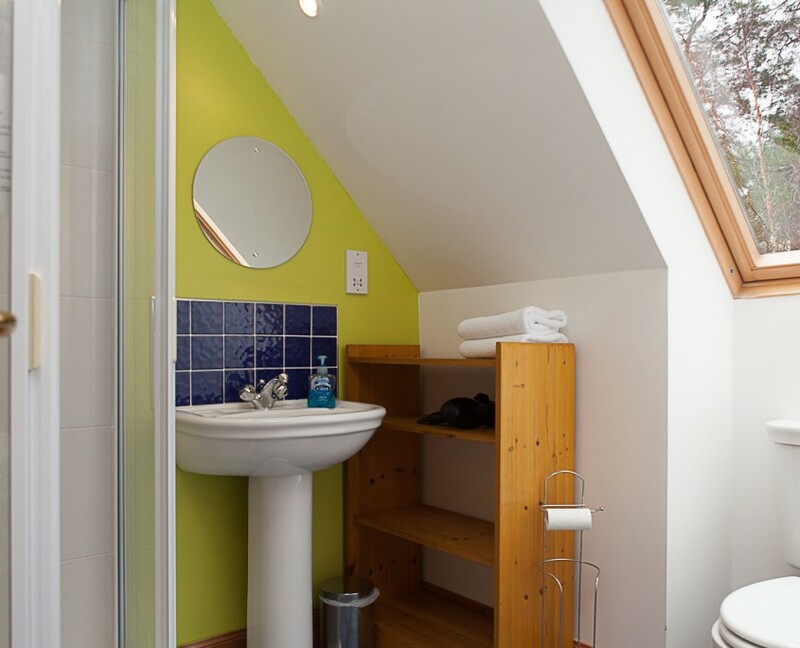 The room has its own ensuite shower-room and toilet. The bedroom has its own sitting room with TV, Radio, DVD and is perfect for two persons to relax after a long day sight-seeing or doing outdoor sports and activities. 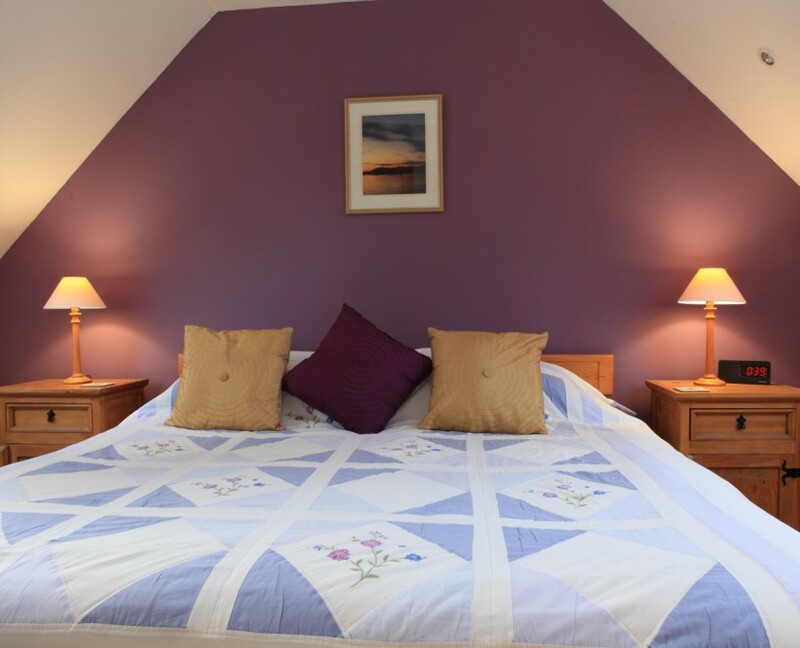 Perfect B&B in Fort William !